The four arms of the chakana designate the four provinces of Incan Empire (Tawantinsuyu): Chinchaysuyo, Kollasuyo, Antisuyo and Contisuyo. The ends of the Incan chakana also represent the four main stars of the Southern Cross, an important constellation for the Inca, who believed that was the centre of the Universe. Besides, the four “arms” of any chakana represent the four 'classical elements' of earth, air, water and fire; the four directions of the compass and four seasons: winter, spring, summer and autumn. 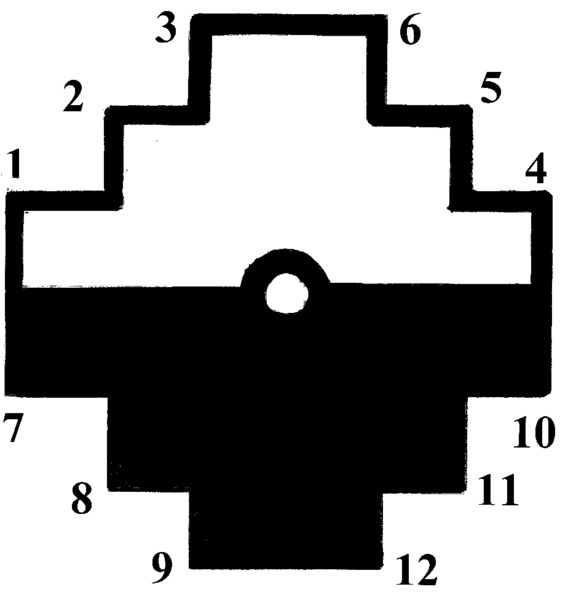 This symbol was widely used. It was used in decoration of buildings, in embroidery, jewellery, etc. There is a half-chakana in Machu-Picchu – 2 quarters of the chakana, which during the solstice cast the shadow forming the whole chakana.